Is traffic driving you crazy? Los Angeles traffic. Photo by Saul Gonzalez. Everyone is in such a hurry to get where they’re going. They think that by not letting you into their lane, or honking at you the moment a light turns green, they will reach their destination more quickly. But they won’t. So what’s up with the road rage and stress? Many of us start out with intentions of being a kind driver. But inevitably, the reality of driving in LA chips away at our veneer. So how do you deal? How do you keep your sanity? Does that one bad commute or moment of road rage stay within your vehicle? Does it linger as you go about your day? Traffic has always been congested in LA, but it feels much worse for some reason, even though public transportation is more popular than ever. I recently went to the dentist who recommended a customized mouth guard because of my constant teeth grinding, which I realized was happening while driving in the city. Of course, this added to my stress: a customized mouth guard is not cheap! I used to have to drive from Yorba Linda (where I lived) to North Hollywood while I waited to finish school after being offered a job in NoHo. I worked two jobs (one in Yorba, one in NoHo) and traveled to Long Beach for school. The drive from Yorba Linda to NoHo is about 65 miles, or in rush hour, a 2.5-3 hour drive. When music became boring, I called my sisters and chatted via Bluetooth. After that, podcasts -- and only funny ones (My Brother, My Brother, and Me anyone?). Bad traffic like that really gets to you when you're able to put your car into park and stretch for a bit. It's okay to scream -- as long as the windows are rolled up. Nothing frustrates me more than the 405N exit at the old LA Weekly building at 5:45 pm on a weekday. I have dreams of dropping out of my current career to become a data scientist and solving traffic. But then the car in front of me starts moving again, and I realize I have to be at work in 10 minutes. I’ve been commuting for five years from the Valley to Brentwood, spending an average of three hours in my car on a daily basis. Best way to survive is to accept that the commute will be slow, and I use the time to reflect on the day, and use it to get caught up with my parents. I drive from Studio City to Third Street Promenade in Santa Monica and back five days a week. Sometimes it’s four hours each day. Without audiobooks, I would not survive. Back when I used to commute 70 miles in two hrs (LB to Newbury Park), I would either catch a show in LA on my way home, or I'd blow bubbles during traffic jams. As I got older and a little smarter, I realized that driving like a maniac in traffic doesn’t get you anywhere much faster at all. I keep my distance now, throw on a good playlist, and now just figure I’ll get there when I get there -- instead of cutting people off to gain 10 feet of space. Now I never feel stressed when I commute in traffic. I love riding my bicycle to work past all the backed up cars. It takes me the same amount of time to traverse six miles (30 minutes) whether bike or car. Plus, I’m relaxed and invigorated when I arrive. How does traffic make you feel, and how do you cope? Hillsong Church is leading a new evangelical movement, which has drawn many celebrities. Church members include Chris Pratt, Justin Bieber, Kendall Jenner, and Kevin Durant. It’s something all Angelenos can agree on: traffic in Los Angeles is crazy making. 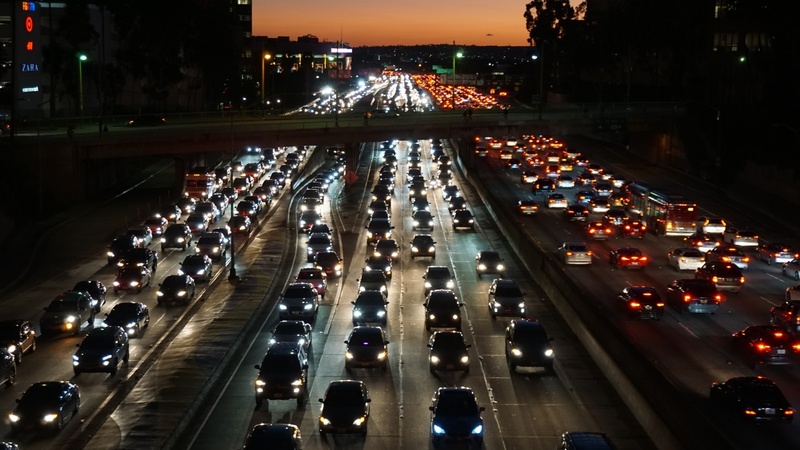 Last year, drivers in LA averaged a whopping 128 hours sitting in traffic . Which documentary shorts are nominated for this year’s Oscars?